Currently viewing the tag: "business strategy"
Over the past couple weeks, a ton of new business frameworks, covering topics from the 5S framework to Kaizen principles to benchmarking, have been added to Flevy. Flevy is a marketplace of premium business documents, which include business frameworks, financial models, PowerPoint templates, market research reports, and other similar documents. This presentation deck covers the benefits of benchmarking, various types of benchmarking, identifying what to benchmark, and provides a detailed step by step guidance on how to systematically carry out a benchmarking project based on the world-renown Xerox benchmarking model. It also includes useful tips on benchmarking, benchmarking etiquettes and the critical success factors. Hoshin Kanri ( Policy Deployment or Hoshin Planning) is a powerful, systematic Strategic Planning methodology that uses a Plan-Do-Check-Act cycle to create goals, choose control measures and link daily control activities to the company’s strategy. In this training presentation, you will be able to teach employees on the structured Plan-Do-Check-Act (PDCA) approach to problem solving. Many world class companies such as Toyota uses the PDCA problem solving process for relentless pursuit of continuous improvement. “Lean” is a management philosophy based on the Toyota Production System (TPS). With Lean Thinking, you will be able to enhance value for your customers by improving and smoothing the process flow and eliminating waste. Simply put, with Lean, you will be able to increase productivity and create greater customer value with less resources. Strategic principles allow organizations to make decentralized decisions while maintaining cohesive strategic action. This document explains the strategic principle framework, including examples, defining attributes, relevant crucial situations, and an approach to strategic principle development. Six Sigma provides a rigorous and structured approach to help organizations improve their performance in meeting their customers’ requirements. This training presentation introduces you to the Six Sigma philosophy, methodology and tools and the infrastructure for successful Six Sigma deployment without too much of statistical jargon. Total Productive Maintenance (TPM) maximizes the effectiveness of equipment. This presentation on Total Productive Maintenance combines the TPM tools, 5S, OEE (Overall Equipment Effectiveness), 8 pillars, Autonomous and Planned maintenance into a highly detailed training tool. This PowerPoint includes a step-by-step implementation process of TPM. Every organization depends on customer service. When you equip your frontline staff with the skills to create a quality experience for your customers, you enhance customer satisfaction and your organization’s image. In this customer service powerpoint, you teach your staff to manage emotions and deliver professional and personalized service. This training presentation is specially designed for managers, supervisors, facilitators and continuous improvement steering committees who want to kick-start and implement Kaizen activities in their work areas to improve productivity and customer value. This training fits well into any improvement initiative, including TQM and Lean management. The COQ methodology instills a practical approach to quantifying the financial impact of the Cost Of Non-Conformance (CONC) and the Cost Of Conformance (COC). Developing and presenting a business plan is something most of us will do at some point in our business life. If you are good at doing it you are more likely to be successful at raising finance. This is an easy to follow guide that will give you the right attitude and approach to developing and presenting your business plan. The 5S workplace organization system applies a set of basic management principles that many companies widely adopt to maximize productivity and organization. As a cornerstone of Lean management, 5S improves workplace morale, safety and efficiency. This presentation provides a blueprint for building a Lean foundation for your office. You will learn how to mobilize and align your management team to launch or improve 5S in your office. The presentation covers 5S and Visual Management key concepts, best practices, step-by-step implementation guidance, and the best ways to integrate 5S into the organization’s culture to achieve sustainable world-class excellence. Most companies are yet to reach their full potential because Human Resources is yet to reach a strategic level of contribution. This PowerPoint presentation shows how to transform Human Resources from a staff function to a strategic business partnership. This document outlines a 3-phase framework for conducting robust Strategic Analysis, based on a paper published by A. E. Boardman and A. R. Vining. The framework describes the major elements of a strategic analysis, and consists of a logically-sequenced, coherent skeleton of a comprehensive strategic analysis. Total Quality Management (TQM) is a holistic approach to long-term success that views continuous improvement in all aspects of an organization as a process and not as a short-term goal. This training presentation includes quality philosophies from key quality leaders such as W. E. Deming, J. M. Juran and Philip Crosby, and provides a summary of process management, steps for TQM implementation, key tools and techniques for total quality as well as the key business excellence and quality management models. No doubt, employees bestow many improvement ideas. If you don’t have a formal system to collect and evaluate the ideas, you will lose them. These ideas can save you money, grow your business, and affect your overall bottom line. This formal system details the phases of collecting, evaluating, implementing and rewarding good ideas. This presentation explores the basics of social media and how to select the right social networks, social media branding, social media marketing, social media optimization, how to build and manage your following. This course has been taught at Rutgers University and numerous professional conferences around the country. The ISO 9001 standard is increasingly being adopted by many organizations world-wide. Whether you are conducting an internal quality audit in your organization or preparing for an external audit, it is important that the auditing process is thorough, systematic and effective. OHSAS 18001 is a global occupational health and safety management system which is adopted in thousands of companies all over the world, and many more are in the process of doing so. One of the reasons for its wide adoption is because it reduces work-related accidents and ill-health and costs associated with them. ISO 14001 is a global environmental management system which is adopted by thousands of companies all over the world. The intent of ISO 14001 is to provide a framework for a holistic, strategic approach to an organization’s environmental policy, plans and actions. Thousands of companies in over 100 countries have adopted ISO 9001 as their quality management standard. Many more are pursuing this certification. ISO 9001 helps your company assure quality, save money and customers expect it. ISO 9001 applies to all types of organizations. This is a case study presentation on the value of global diversification. Got quality business documents? List them on Flevy.com to start earning yourself some passive income. 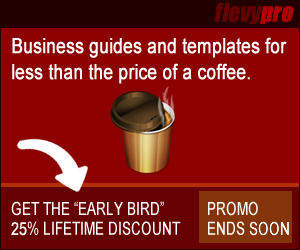 Flevy is a marketplace for business strategy frameworks, PowerPoint templates, financial models, business presentations, market research reports, and other premium business documents. Download documents to expedite your projects or upload documents to generate passive income.